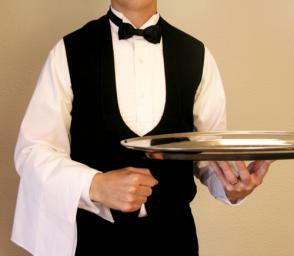 Home>Best Hospitality Degrees FAQ>How Do You Become a Hotel Manager? For people who are outgoing with a keen interest in travel, tourism, and the service sectors, becoming a hotel manager is a viable career path that can lead to jobs in different cities and countries. It is a job that requires people skills along with extensive administrative and managerial abilities to thrive in a fast-paced and fast-changing work environment. Hotel management programs prepare students to tackle a wide range of tasks associated with operating a lodging facility to ensure the best experience for guests. These hotels, motels, resorts and other types of short-term accommodations cater to guests on vacation or on business travel. The hotel manager oversees the day-to-day operations while ensuring that the establishment operates efficiently and profitably. Some hotel accommodations may have special features, including restaurants, entertainment clubs, spa and fitness facilities and similar guest conveniences. These departments may be managed separately but ensuring that services are consistent with corporate standards would still be under the purview of the hotel manager. Graduates of hotel management programs may be able to join management training programs as a practicum or internship. They may also be able to continue as management trainees with the expectation that they are being prepared for various managerial positions in the hotel or hotel chain. Another approach to establishing a career as a hotel manager would be to learn the tasks from the bottom of the organizational chart. This means working part-time or full-time as a guest coordinator, front-desk reception, concierge clerk, accounting assistant or any jobs within the hotel system. These types of work experience will ensure that a would-be hotel manager understands the demands and the complexity of working in a service-based and people-focused industry. A dedicated hotel management program is one of the best ways to learn and master the skills needed to succeed in a career in the hotel sector. These programs are basically business and management programs focused on the hospitality sector. The core courses will include business management, leadership, personnel management, accounting, purchasing, marketing, and finance courses. Specializations will focus on hospitality management, tourism issues and legal aspects of hotel operations. Other specializations may focus on restaurant management, event planning, and health club operations. In general, anyone with a background in business, customer service and marketing has a good chance of thriving in managerial positions in the hotel industry. For those with a different academic background, use work experience to gain a foothold in this sector. Working the night desk is one of the ways to get acclimated to the hectic pace in the industry, and these jobs are widely available and open to those with limited or no experience in the hospitality sector. Strive to be part of every training opportunity offered by the company to learn new skills in different departments. Certification programs by trade organizations are also open to high school students interested in the hotel industry. According to the Bureau of Labor and Statistics, the outlook for the hospitality industry remains stable. For those intent on becoming a hotel manager, jobs in this sector will grow by about 4 percent between 2016 and 2026 due to continued demand for hotel services. However, the industry is changing with many establishments reinventing their brand to include casinos, shopping centers, and entertainment venues. This means additional challenges and more interesting opportunities for hotel managers.